We have been serving Richmond and keeping customers safe for almost 40 years. We can serve your home, car, truck or business. 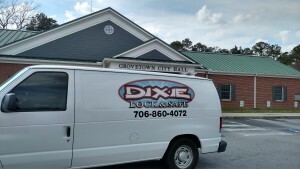 Dixie Lock provides the best service for safes, vehicles, deadbolts, lockouts and so much more. Call Dixie Lock & Safe today. Whether you need a key made for your deadbolt or car, or if you need an entire new home rekeyed. We can help. If it has a lock, we can fix the problem.